One of the best things about living in Los Angeles is that we’re usually blessed with great weather all year long. 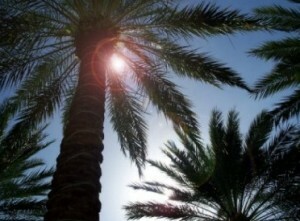 Sure, the summers get a bit on the hot side, but our version of “cold winters” would be laughable to most people anywhere else in the U.S. and we spend most of each year in a state of perfect temperatures. The excellent weather gives us an almost year-round ability to have relaxing barbecues, including in late October. With that in mind, I got together with some family and friends for a delicious Sunday BBQ. 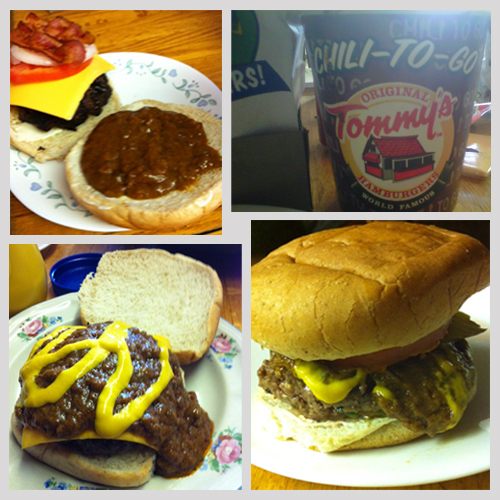 Aside from the sunny conditions, the day was also inspired by LA’s own famous Original Tommy’s World Famous Hamburgers. 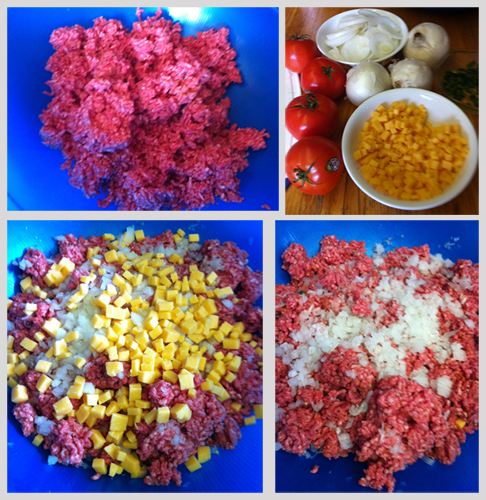 They’ve been a family favorite for long before I was born and make some of the best chili burgers you’ll ever eat. They had a contest this year asking customers to make their own chili-burgers at home using their “Chili to go” specials and one winner made a video so delicious looking that I had to try it out myself. 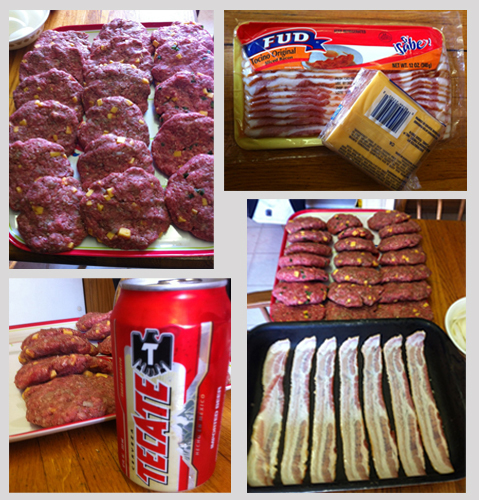 The first step was getting the right ingredients from the store, which ended up being 12 pounds of ground beef, a block of sharp cheddar cheese, onions, jalapenos, tomatoes, hamburger buns, bacon, sliced cheese and of course some Tommy’s chili to go. Once we had the stuff ready, the onions, jalapenos and cheese got diced into little squares and added into the ground beef. After that, they were made into jumbo patties and prepared to be cooked over an open fire, with some nice cold beers and bacon ready along the way. 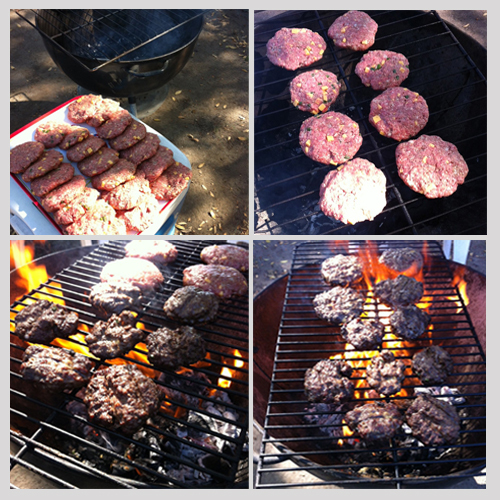 The grill outside was full of mesquite charcoal and cooked the burgers to a flame-broiled and juicy deliciousness. Once they were cooked and ready to go, the bacon, cheese and Tommy’s chili were added, making for some great chili-dripping times. It was an affordable BBQ, with the ingredients totaling about $40 and it fed more than 10 people to the tune of about 2 to 4 burgers for each. Add in some cold beers and soda, the welcoming weather and some NFL action and it definitely was a Cherch life.